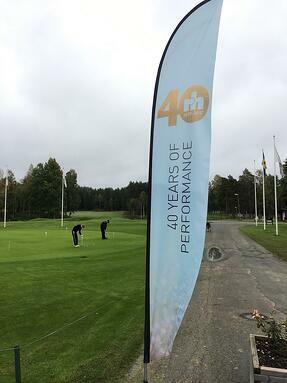 Last month Flokk brand RH invited a selection of valued clients and customers to the picturesque shores of Lake Hookasjon in South Sweden for the international golf tournament celebrating their 40th Anniversary. 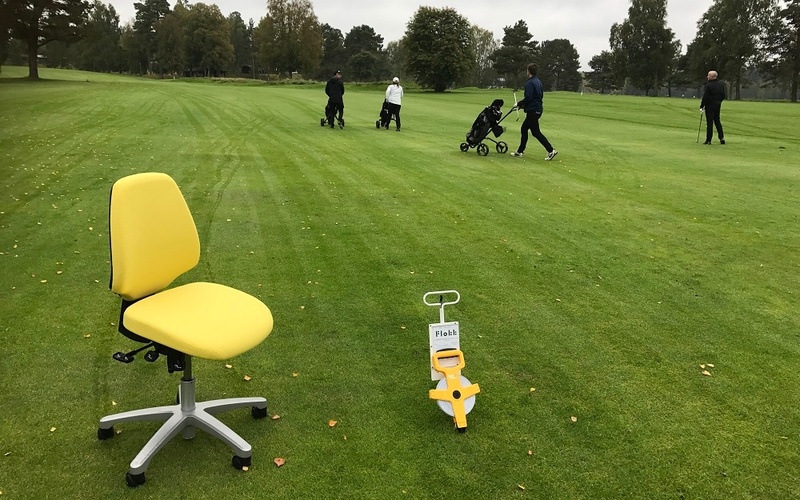 Teams from across europe comprised of both Flokk employees, clients and customers battled it out, not for a coveted Golf Master's green jacket, but the RH40 cup and a selection of goodies. 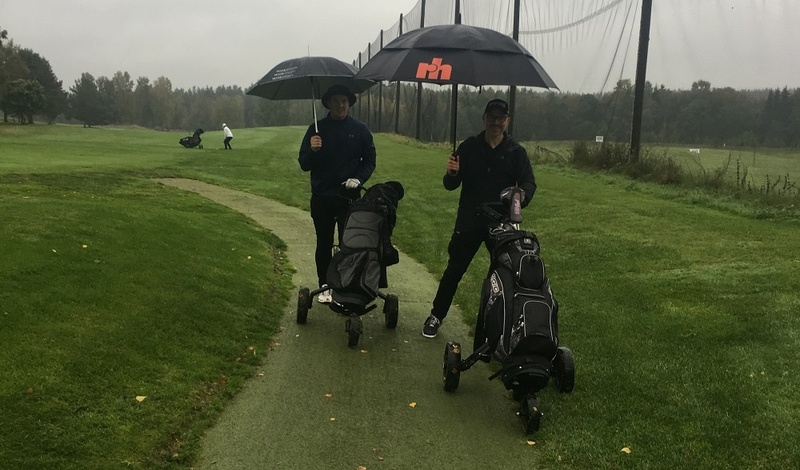 Hosting the event was Hooks Herrgard, an elegant manor house on the lakes edge, which boasts two competition standard 18 hole golf courses and is ranked as one of the best golfing locations in Sweden. After a briefing from the organisers, the teams from Sweden, Netherlands, and the UK headed out into the sunshine (and occasional shower!) in teams of four to vie for the title. The teams prepping score sheets and getting 'in the zone' ahead of the tournament. Sweden's finest braving the rain! 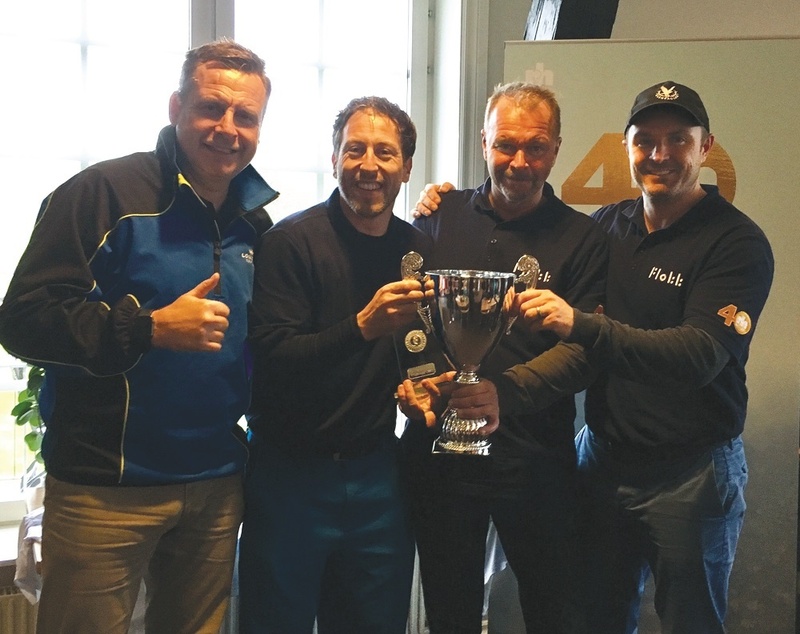 The United Kingdom, captained by UK Flokk Country Manager Jorgen Josefsson were the eventual winners, picking up the trophy and prizes. "We had a fantastic team, and our putting practice certainly paid off!" said Jorgen after collecting the trophy. "Well done to the guys from our team, and everyone else who took part. A great day!" 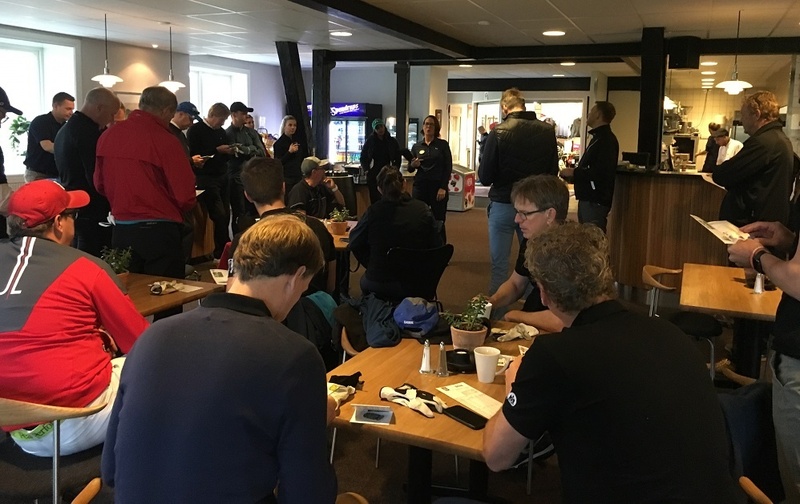 After the competition, the teams all headed for the RH HQ in Nässjö, where they had the chance to visit the newly created RH museum full of artefacts from the history of RH, and they took a quick tour around the production facilities. Find out more about how RH are celebrating their 40th anniversary, including entry into their great competition, by clicking the link below!